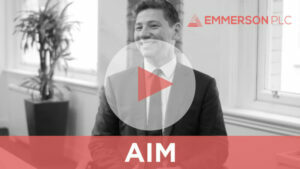 We recently interviewed Hayden Locke, CEO of Emmerson PLC (LON: EML). Emmerson is developing what mining.com describes as “Africa’s hottest potash project” namely Khemisset in Northern Morocco. The Khemisset project has a large JORC Resource Estimate of 311.4Mt at 10.2% K20. Potash is a key ingredient in NPK Fertilisers ((Nitrogen (N), Phosphorus (P), and Potassium (K)), which are in high demand across Africa. This provides Emmerson with an easily accessible domestic market, whilst close-by international ports provide access to European, Brazilian and US markets. As a result of this, the company expect exceptional margins. Morocco is politically stable and has an appetite for foreign investment. Indeed the Mining Journal recently ranked Morocco as the number one jurisdiction in Africa for mining investment in its world risk report. The Moroccan mining code is clear and transparent, and importantly, the government do not demand ownership of mining projects. The potash industry is tightly controlled, and only nine companies dominate the market. As a result, new players in the potash market are strategically valuable, especially to NPK producers who require a solid source of Potassium in order to make their products. This will provide Emmerson with a number of strategic growth opportunities, assuming the Khemisset project becomes a producing asset. The company announced the results of a scoping study in November 2018. The report produced by Golder Associates confirmed that Khemisset has the potential to be a low capital cost project, whilst providing very high margins. In 2019 Emmerson will be pushing towards further milestones which de-risk the project. The Group is currently drilling in order to report on an updated resource. A feasibility study should commence in the first half of this year and finished by the end of 2019 / beginning of 2020.